The idea of providing accommodation was more than anything an opportunity to meet people and make friends: Hemant enjoys socialising and is a keen cook. Delicious home cooked food, prepared under hygienic conditions is provided. Since the aim is to create a truly homely feel, this is termed as a 'Home Stay'. To maintain our standard and to enable us to give our full attention to our guests, we keep only 7-8 rooms going at a time. Each room is exclusively designed and beautifully furnished. 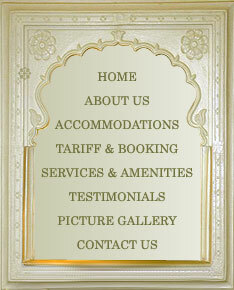 The atmosphere in the haveli is homely, comfortable and stress free. Rooms are clean and spacious. 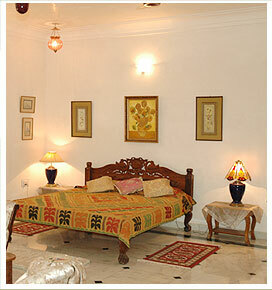 Most guests go back saying that they have had an unforgettable experience staying at Pahuna Haveli. Website Designed & Developed By: Webtech Softwares Pvt. Ltd. Copyright © 2013-17 Pahuna Haveli.